Movements come and movements go. To be memorable, to last, depends on continuously refining the message. The brand, by necessity blindingly clear in the beginning, must be anything but static. Ideas mature, knowledge grows, and movements pivot. They must pivot. The meteoric rise of hospice and palliative care has had untoward affects. Specifically, the treatment of pain and suffering has dislodged itself from the moors of clinical medicine. A new generation of caregivers rightfully have focused on symptomatology, but have unwittingly separated the body from the soul. To deny that they are intertwined, is to practice a brand of medicine that lacks nuance. When one treats edema from low albumin with diuretics, dehydration ensues, When one treats psychic pain with narcotics, patients become more sleepy but no less mired in pain. When one treats dementia induced agitation with benzodiazepines, more agitation is likely. 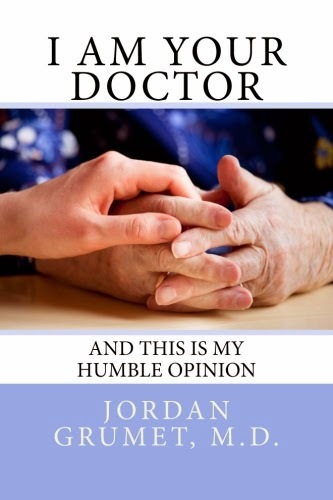 Good hospice care is grounded in classic internal medicine. If we are not asking why are patients feel what they feel, we will ultimately fail at palliating them. If we want to remain relevant. If we want this movement to have teeth, we must redefine our place in the medical stratosphere. Hospice and palliative care physicians should strive to be master diagnosticians. We must be the detectives that parse not only the physical but also the metaphysical. We can no longer define pain and suffering as diagnoses. Until we understand the how and why, our solutions will be misplaced and cockeyed. It must go beyond putting it in a category, or giving the human condition over to a discipline. Human suffering transcends just medicine. 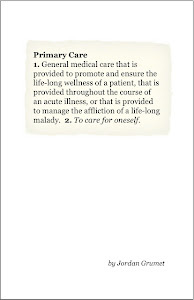 1) Palliative care/medicine has a major branding problem. No one understands what-the-heck "palliative" means and it has been way too tightly yoked to hospice care. What isn't it being called something/anything that helps people understand it involved pain management for/during any/all medical situations? 2) Years ago I tried to get some traction for looking at the health-faith connection. Maybe I should have called it the "metaphysical" connection? In any event, only very recently has this conversation come out of the chaplains' ghetto. The conversation about pain is multi-dimensional for sure. Care providers needs more training about all those dimensions! Absolutely love your writing -- content and style. Jordan, Thanks for giving this concrete example of a decision that creates another problem. As a non healthcare professional, I'd never even know to consider, or ask. I echo Meredith: love your writing, content and style. Thank you doctor. I have had an experience with Versed and the medical field denies that this drug caused my mental suffering. (creates chemical induced Alzheimers, a dread disease, amnesia in some people, aka disassociative disorder) I don't want Demerol or Ketamine. (creates a chemically induced psychotic fugue state with hallucinations and disassociative cognitive dysfunction) It amazes me what passes for "care" these days. Unfortunately I am terrified of being "restrained" by Versed and forcefully pumped full of drugs. Here's to hoping that I die a catastrophic death rather than be subjected to the ministrations such as you describe. I mostly agree with the blogger, but not at all with Meredith. The last thing I as an agnostic want is a doctor who wants to be concerned with "faith" (and I have seen nursing home personnel do this stuff to a dying atheist and I detest it). But absolutely I want palliative care and intelligent palliative care. And one that takes into account my personal preferences and experiences. Never Again, after a bad experience of my own with Versed/midazolam, I read sedation textbooks and was astounded that medical people are NOT educated about what a bad drug it is for some folk though a good one for others and yes medical people typically discount people's accounts horribly, though a casual internet search will show that a TON of people have had problems with it. I didn't have any memory problems or flashbacks as some do, rather I was hyperaware and terrified while passive and almost immobilized, a horrible experience. Really surprised me as other benzodiazepines have agreed with me just fine. I now keep rubber bracelets saying "no versed" around including in my car glove compartment so I can don them if I am aware I might end up in a hospital or something -- although since I have not been in a hospital in 50 years, I am hoping the situation does not arise, but I feel THAT strongly about Versed, as you do.